Operating a storefront isn't free. At this point, we've come to expect drastic and unexpected policy changes from Tesla. 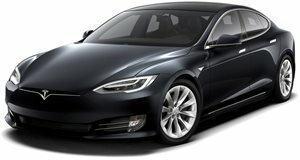 After revealing the long-awaited $35,000 Model 3, Tesla announced a new, online-focused model for selling cars, which would involve shutting down most of its current storefronts. The reasoning for this change was pretty understandable. Many Tesla buyers already order their cars online, so closing down storefront would free up the company to save cost on rent and pass those savings onto consumers. At least, that was the plan originally. Tesla quietly released a new statement saying: "Over the past two weeks we have been closely evaluating every single Tesla retail location, and we have decided to keep significantly more stores open than previously announced as we continue to evaluate them over the course of several months." In order to keep so many stores open, Tesla will have to charge consumers to make up for the lost savings. Tesla says "As a result of keeping significantly more stores open, [we] will need to raise vehicle prices by about 3% on average worldwide. In other words, we will only close about half as many stores, but the cost savings are therefore only about half." 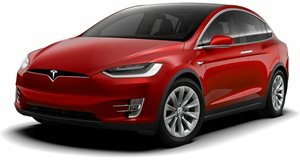 It is worth noting, that the price hike will not impact the $35,000 base Model 3, only more expensive Model 3 trims, the Model S, and the Model X. We think this was a smart decision in order to avoid consumer backlash. If Tesla had gone back on its promise of a $35,000 Model 3, even by a minor 3% increase of $1,050, it would have caused an uproar from consumers. 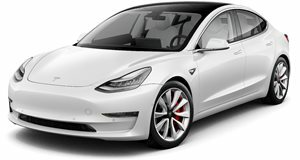 If you are in the market for a new Tesla, you have until March 18th to place your order before the 3% price increase goes into effect. We are finding it more difficult than ever to keep track of Tesla's constant price changes and we feel bad for anyone who buys one, only to learn of a drastic price drop the following day.